A fascinating case of a movie which is as well made as its characters are morally disgusting. 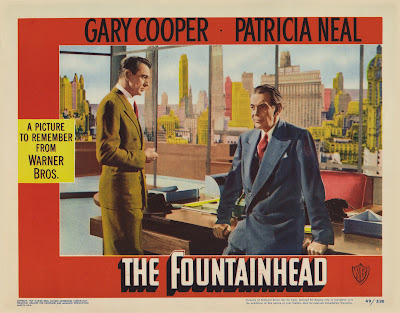 Since it is perhaps most well known for its status as an adaptation of an Ayn Rand novel, it's worth noting up front that director King Vidor and star Gary Cooper both disliked the source material. Yet in spite of any objections they might have had, the film is ultimately an accurate representation of Rand's philosophy. 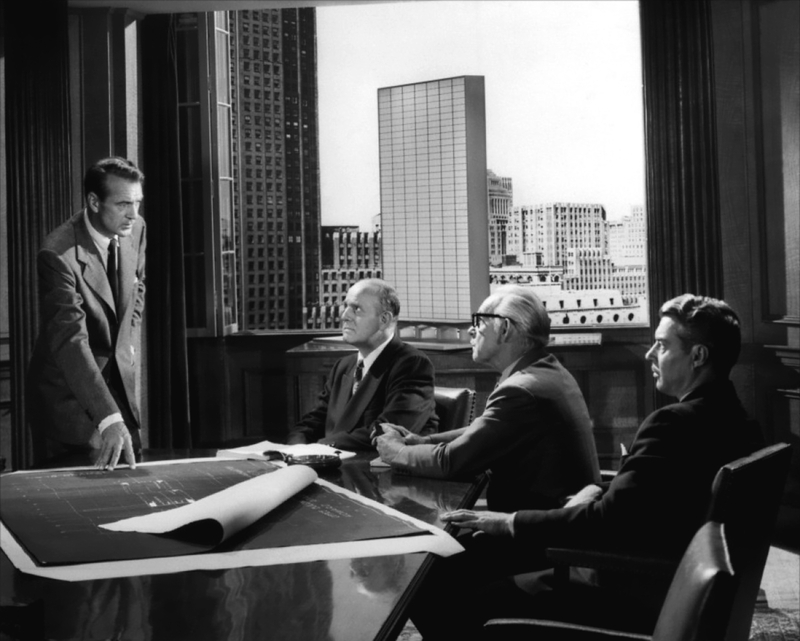 Howard Roark (Cooper) is an architect with a strict sense of idealism (never working without final cut of his buildings), and likewise Rand was often on set during filming to make sure her screenplay was shot without any changes, even appealing to her contract with the studio when Vidor tried to reduce the length of a scene. Let's start with the filmmaking. There's an incredible economy of storytelling here that's rarely seen seen anymore today (with the 70-year-old George Miller's Mad Max: Fury Road potentially being the exception that proves the rule). 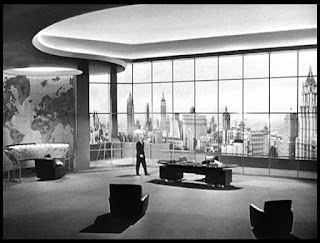 The story opens on a montage of the protagonist being rejected by business executives, a scene which delivers both his character (staunch idealist) and the film's theme ("Do you want to stand alone against the world? "), and then there's a simple shot of a calendar's pages being turned by the wind, and these few seconds of film give us the entire setup for the story. The cinematography and set design also give the film a strong aesthetic which is both pretty to look at and thematically relevant (Roark is an architect, and it's as if the scenes are being sculpted around him). The characters present more of a problem for the film, however, as they're the elements most representative of Rand's philosophy. They're all basically well constructed in the sense that it's easy to understand who they are and envision their lives outside the events of the film—even if that might be partially because they spend so much time talking about themselves. This expository character development isn't necessarily a fault of the film, since they're exactly the kind of people who would spend most of their time talking about themselves, but it does throw a bit of a wrench into the question of character development (do we actually see their characters, or do they just tell us about themselves?). 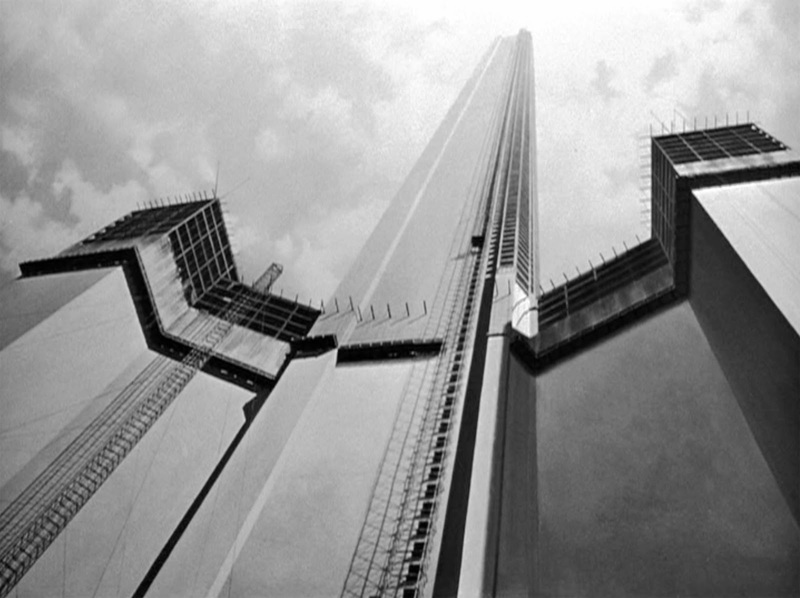 - "I don't care what they think of architecture or anything else." - "Love the doing, not the people." - "My terms are a man's right to exist for his own sake." - "I don't want any visionaries around here." - "Why take chances when you can stay in the middle?" - "You can't expect us to stick our necks out." According to the film, we're all just frightened little weaklings with no knowledge of or desire for real art. We're just idiots. The movie stacks the deck in favor of characters who would be evil in a different context, trying to make it possible to root for its obnoxious leads by making everyone else puny and worthless. The story makes it easy for Rand to justify her philosophies, but the worldview is one I don't subscribe to, and it makes the characters feel like aliens from another planet. I'm not so naive as to think that movies with unlikable protagonists can't be worthwhile in their own right, but unlike The Wolf of Wall Street (for example), The Fountainhead asks us to care about these characters by mourning their failures and celebrating their victories. It's not that it fails in its goals, it's that I disagree with the framework it sets for those goals. The real world isn't one where the general population is weak because of their lack of integrity and a select few are strong because of their idealism (the way it's portrayed in the film); if anything, this isolated idealism ought to be the more problematic of the two. I identify with the general population, not the 1% with the supposed special access to artistic expression. The film's outlook on the world is one of profound pessimism and fundamental anti-humanism disguised in pretentious moral superiority. This raises the question of the distinction between not liking a film because you disagree with its politics and not liking a film because it's poorly made. Personally I ended up liking the film in spite of its characters for the talented hand Vidor had in making it (and because the inhuman nature of the characters makes them occasionally fascinating to watch), but if you were of a similar mind as the characters then I can imagine loving the film, or conversely if the filmmaking didn't make up for the characters then I could understand hating the film. 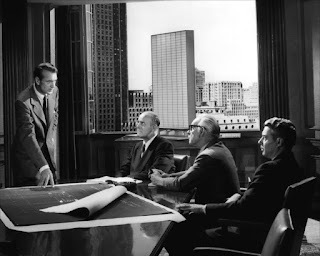 There is one reading which makes these power dynamics a bit more palatable for me: if we see Roark as a filmmaker and the obtuse business executives around his as the moneymen of Hollywood, the film becomes an allegory for the struggle of artistic expression within the studio system. There's a little too many accusations of the general public being too stupid to know real art when they see it for me to totally buy this interpretation, but it is an interesting lens through which to see the movie. There is one redeeming moment for Patricia Neal's character, though (even if it's one which is probably unintentional in its hilarity), and this is the one point I unreservedly love this movie. After seeing Gary Cooper drilling rocks in a quarry, she fantasizes about his bulging muscles, as if she wants the next thing he drills to be herself (Oh baby! Drill me, Mr. Roark!). 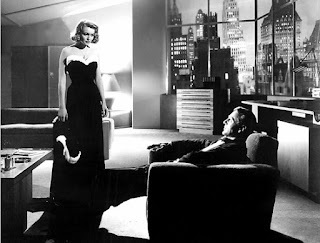 This gives new meaning to Roark's profession as an architect: he's a designer of buildings, a maker of erections, and Patricia Neal thinks his are the finest ones around. Listen to Andrew Willis and I talk about this film and Tomorrowland on episode 4 of Movies Now and Then podcast!